I’m trying out the Retro Recipe Challenge Fall Favorites competition, just as I was in the mood to make something savory, spicy, and prepared in that ever-so-homey style, a casserole. As my retro recipe, I’ve chosen the moussaka from an old original hardback of Mastering the Art of French Cooking, a weighty, exhaustive volume I found at my parent’s house. 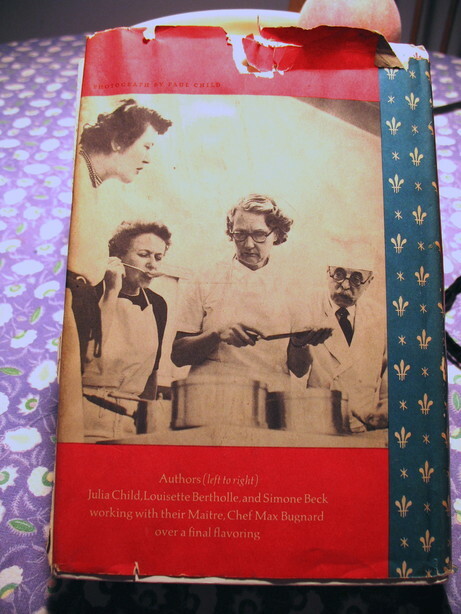 It’s co-authored by three women who ran a little French cooking school called “L’Ecole des Trois Gourmandes,” Julia Child, Louisette Bertholle, and Simone Beck, and preceded Child’s landmark television cooking show, The French Chef, by two years. 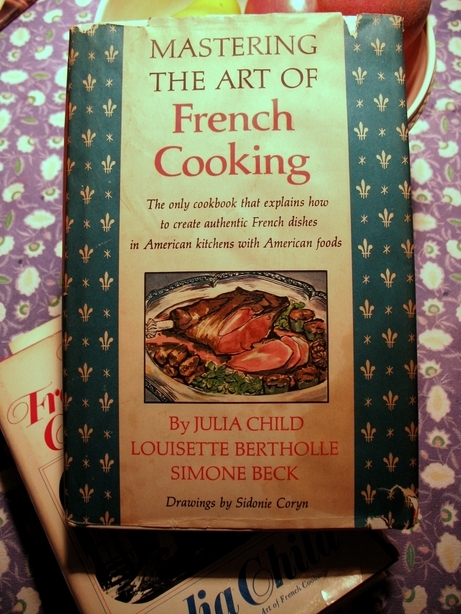 A decade later, she and Beck would author Mastering the Art of French Cooking, Volume 2. I have no idea if her moussaka was ever repeated or revised in any of her many later books. But I’m starting at the roots of its introduction to American households. Lamb can hardly be considered a leftover when it receives this elaborate treatment. Leftover from what? At $5.29/lb of ground lamb, which the recipe calls for (not to mention the scarcity of it in grocery stores–I couldn’t even find this in the Italian butcher store in Carroll Gardens), I agree that it’s elaborately priced in these parts. This statement proved to be only the tip of the iceberg for the series of confusion the recipe gave me. I didn’t think that something written by Julia Child could be so retro that I couldn’t even comprehend it. 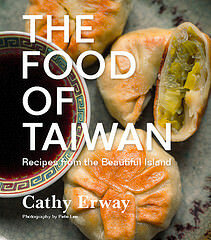 Perhaps I could use the 40th Anniversary issue of this book, a widely-hailed cookbook classic. Maybe it would help if I could watch The French Chef as a visual accompany to methods described. Whatever, I could still swing this, right? My questioning to almost all of the cooking steps didn’t assuage my initial uncertainty over what kind of dish moussaka is. According to Wikipedia, it varies greatly for one thing. 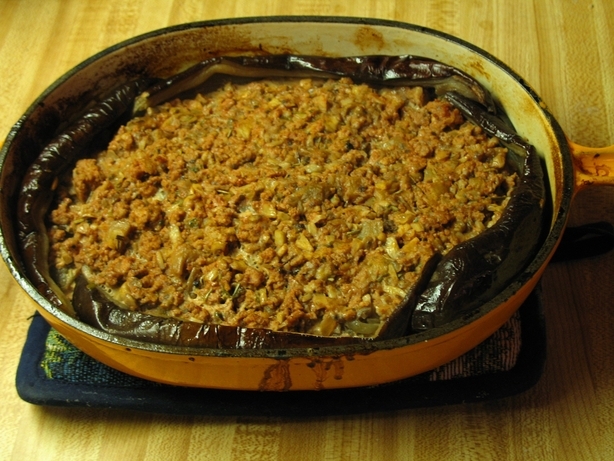 Of Eastern European and Middle Eastern origin and most commonly found prepared in a Greek style, the description makes me imagine a sort of lasagna-like casserole of eggplant and lamb. Part of the name implies that it’s cold, and Mastering The Art of French Cooking does remark that it is “delicious either hot or cold.” We’ll see about it hot first. 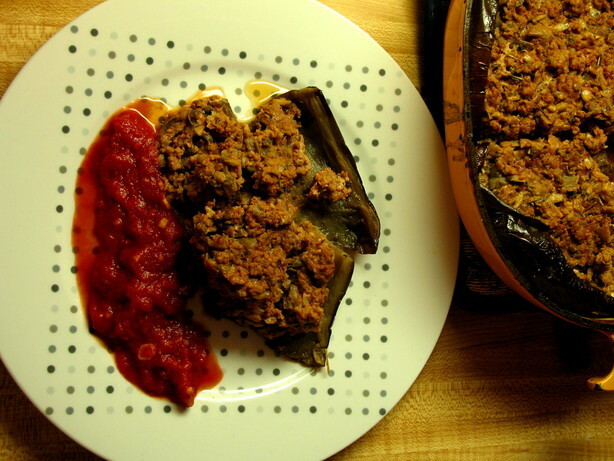 Preheat the oven to 400 degrees, in time to bake the eggplant. Set tomato sauce to simmer. 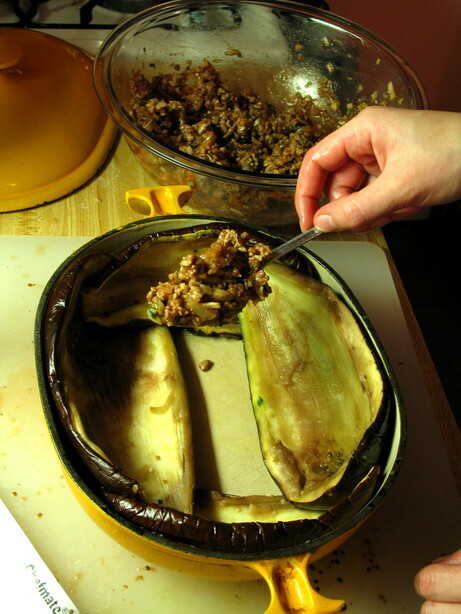 Remove green caps and slice eggplants in half lengthwise. Cut deep gashes in the flesh of each half, but do not pierce the skin. Sprinkle flesh with salt and let stand for 30 minutes. After about fifteen minutes of sitting, the eggplants started building big beads of sweat on their sliced surfaces. Pretty cool, but I’ll still need an Alton Brown to explain why that’s done. Wash under cold water, squeeze out juice, and dry on paper towel. The only thing that wasn’t necessary in this step was the paper towel. Because after attempting to squeeze the eggplants, nothing came out but a few drips of juice, no matter how hard I squeezed. Next: Rub with olive oil and set eggplants skin side down in a roasting pan. Pour in 1/2 inch of water. Bake in upper third of preheated oven for about half an hour, or until just tender. While eggplants are baking, cook the onions slowly in olive oil for 10 to 15 minutes, until tender but not browned. Scrape into mixing bowl. 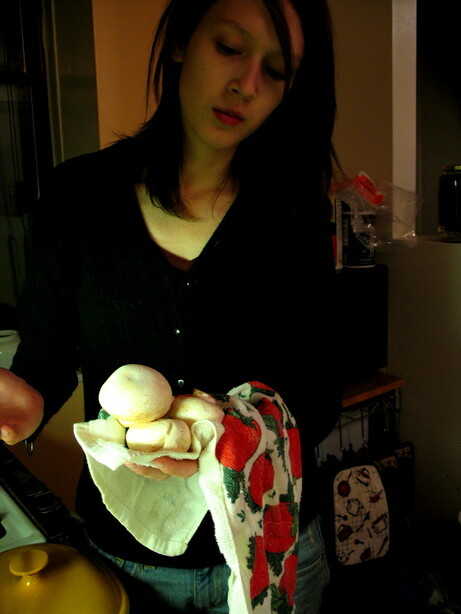 A handful at a time, twist mushrooms into a ball in the corner of a towel to extract their juice. What? Now I had to find a towel that wasn’t dirty, and when I did, I wasn’t sure I wanted to get it soaked in mushroom juice. But again, it didn’t come to that after I squeezed those mushrooms until they merely sort of broke or got dented. Maybe I’m just not strong enough for this recipe. Add the juice to the tomato sauce. (Alright, my tomato sauce will be mushroom juice-less.) Saute the mushrooms and shallots or onions in olive oil for five minutes or so, until pieces separate from each other. Add to mixing bowl. Right before this step was when I noticed that the left-hand column of this recipe, which lists the ingredients for each step, had called for 1/2 lb of “finely minced mushrooms.” I’ve never minced mushrooms before, but it wasn’t too hard. I separated the pieces pretty well then. 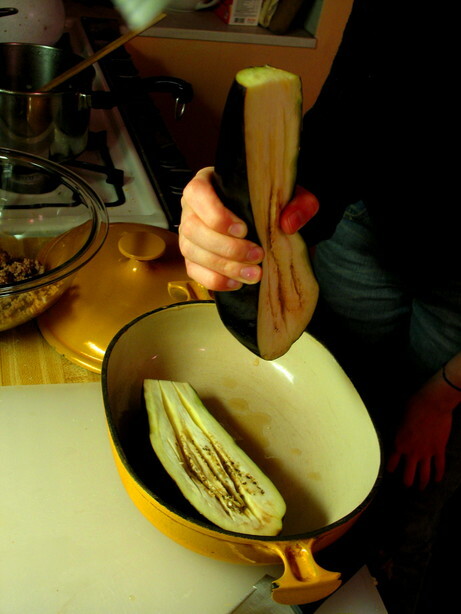 Moving on: When eggplants are tender, carefully scoop out the flesh with a spoon, leaving the skin intact. Chop half the flesh and place in the mixing bowl. Dice or slice the rest and toss it briefly in very hot olive oil to brown lightly. Set aside until later. This is the part where I really start to deviate. Since I don’t have a “2-quart cylindrical mold (preferably a charlotte),” or know what a charlotte is, or what a moussaka should ultimately look like, I settle for a casserole dish for lack of anything else remotely close or oven-safe. 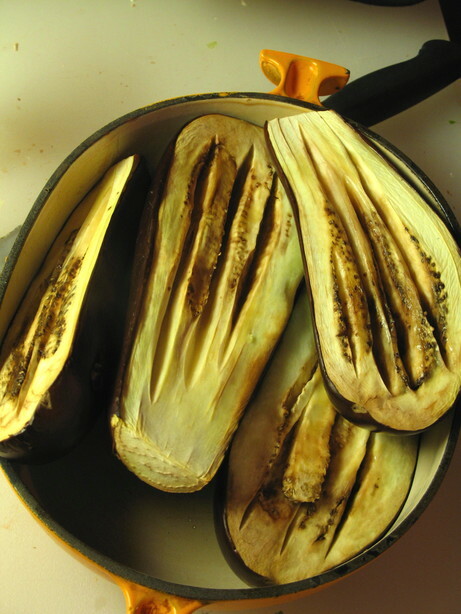 Line it with the eggplant skins, their purple sides against the mold; place each lengthwise, a pointed end at the center of the bottom of the mold, the other end falling down outside the mold. Reset oven to 375 degrees. 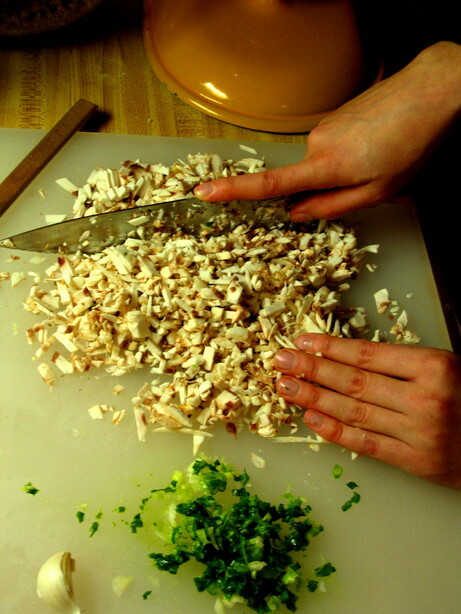 Add all ingredients at the left to the mixing bowl containing the onions, mushrooms, and chopped eggplant. Beat vigorously with a wooden spoon to blend thoroughly. Taste carefully for seasoning. Now I’m cooking the lamb, suddenly. I find it a little odd that the only meat in this “meat” dish isn’t given any instruction on its cooking. I also notice that there’s no mention of seasoning the vegetables while they’re being sauteed. But since I can’t imagine browning ground meat without it, I season the lamb with salt and pepper. Spread an inch of the mixture in the bottom of the mold. Arrange over that a layer of the previous sauteed eggplant. Continue thus, ending with a layer of the lamb mixture. Fold the dangling ends of eggplant skin up over the surface. Cover the mold with foil and a lid or plate. Set mold in a pan of boiling water. Bake in bottom third of oven for 1 1/2 hours. Remove and let cool for 10 minutes. Reverse on a hot serving platter and surround with 1/2 cup of the tomato sauce. Pass the rest of the sauce separately. I’m glad to skip the boiling water pan and get the dish out of my sight for 1 1/2 hours. But it’s such an extremely long time, and an hour or so into cooking, the smells of gamey lamb and rosemary are so tantalizing my hunger that I take it out to get a peek. Moo. Sah. Kah. My first peek at it, in fact. I don’t know what it looks like to you, but I was hungry. It was done. The result: I don’t know about the water in the pan with the mold and what that would have caused, but when I cut a section out of the casserole dish, it lent way to a lot of juices that milled in the bottom of the pan. Not surprisingly–I was wary of this happening when they instructed the dish be covered the entire cooking time. It did taste good, thanks to the slight gaminess of the ground lamb, and the few spices that the recipe called for really stood out. I was thinking of moussaka as a very flavorful, slightly spicy dish, but this one was very mild in flavor. My tomato sauce could have used more simmer time, and aside from it being involved in the plating of the dish, I had no idea how to plate it individually. It sounds like Child and her co-authors wanted the great big molded dish to be presented on a table whole, but just how to dig into it after that point remains a mystery to me. Six brownie points – there wasn’t anywhere to drain fat in this recipe, so it really depends on how lean the lamb is. The book suggests serving the dish “with steamed rice or risotto, and buttered green beans or a green salad.” I had bought green beans to butter just for the occasion, but after all the cooking and the huge amount of leftovers I was going to be dealing with, I decided enough was enough. Oh my goodness! A blast from the past. This is not a typical moussaka, which is more apt to be a layered casserole with a creamy bechamel part. I used to make this all the time in the early sixties. Of course I saw her make it on TV; that surely helped. The idea was to have a way to use leftover lamb, most likely from a roast (probably something we are less apt to have on hand these days, so just browning some ground lamb, as you did, would be OK. But the main BIG idea was to make a beautiful UNMOLDED (ie taken OUT of the pan for serving) dish. By putting the eggplant skins in the mold “skins facing out” you end up with a shiny purple cylinder sitting in a pretty red pool of tomato sauce which you then serve by cutting into slices, like a cake. It is true that to use this book effectively you have to jump around a lot and use the index. The charlotte mold is pictured on p. 162. Julia uses this pan quite often – not seen so much today. Don’t be discouraged. Keep on using this book and you will learn a lot! Are you familiar with the Julie/Julia experiment? 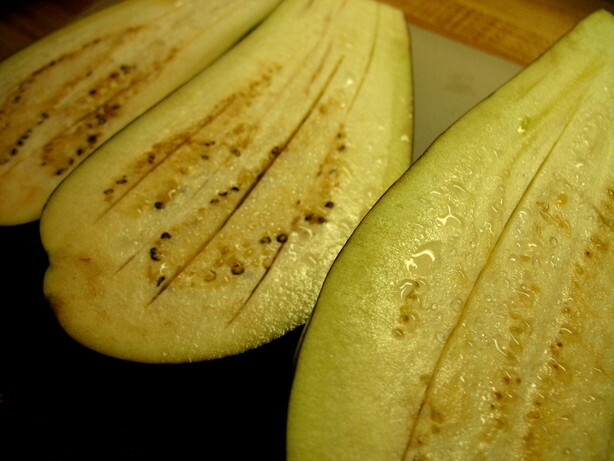 What happens is that the salt on the outside of the eggplant dissolves with the moisture on top to form salt water. The salt water is denser than the liquid inside the eggplant, so to balance the densities, the liquid from inside the eggplant travels by osmosis through the cells to the outside, forming beads on top. And we all thought high school biology was useless. Whoa… that recipe sounds so terribly convoluted. Funny enough, I’ve seen moussaka on menus and never ordered it for a few reasons, but now that I know how much work goes into it, I might just pop some allergy pills and try it (I’m allergic to eggplant). It looks pretty good; glad you liked it. Yummy! I admire Julie Powell’s experiment (and can relate to the tiny kitchen part)–for some reason I didn’t realize she was using “Mastering the Art of French Cooking, Vol. 1” — I’ll have to see how her Moussaka went! Her recipes take some getting used to, that’s for sure. I made the tomato sauce and the brown sauce III (YUM) first, the whole thing took FOREVER — but it smelled and tasted amazing! I used lean ground buffalo since there was no ground lamb to be found and I don’t care for beef. I still have to bake it tonight (made everything ahead) since I have a jobby-job during the day but I’m sure it will be awesome!